An efficient business is one that is able to use the little resources that are available. The resources here refer to labor, money, assets, equipment and business premises. Since every business has rivals that compete for the same customers, you must work towards improving the efficiency of your enterprise or risk being kicked out of the market. Even if you have all the resources in the world, you still can’t have an edge over your competitors unless your business utilizes what is available to the maximum. When business is efficient, you are guaranteed of having more customers than your rivals, which in return contributes to high returns in the long run. In fact, you will end up with a bigger profit margin because you are using fewer resources to get more. In order to bank on efficiency in your enterprise, you must first identify what’s not working as per your plan and fix it right away. However, most entrepreneurs desire to be efficient in their businesses. The only problem that they have lies in not knowing how to go about it. 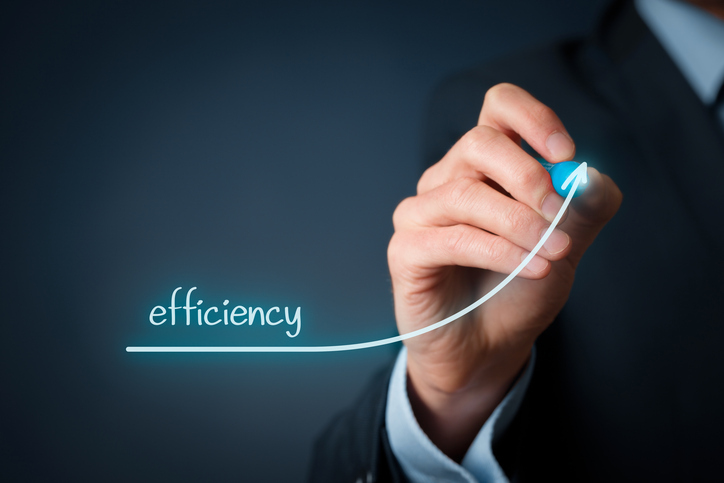 Here are tips that can help you integrate efficiency into the core of your enterprise. As an entrepreneur, you should consider automating as many processes as possible. The good thing is that automation of tasks is not rocket science. All you have to do is identify tasks that are repeated over and over and develop applications that will execute them. The advantage of relying on automating processes is that it helps in boosting productivity and minimizes errors in production units. This is because a computerized system is not influenced by emotions like a human being. Toyota is a good example of how efficiency can help a business grow. Most tasks at Toyota are carried out by robots. That’s why it’s the largest car manufacturing company in the world. By embracing automation, you will not worry about the performance of your employees when you are not around. By using a tried and tested Employee Scheduling Software, you will be able to tell who is doing what and the time they reported to their workstation even when you are on the go. In this day and age, computers are regarded as a necessity in every business. This is because they make it easier for employees to plan and execute their tasks. They also make it possible for employees to coordinate activities in their respective workstations. Besides that, having a network infrastructure helps in cutting back on the expenses of acquiring crucial equipment and machines. For instance, one printer can be shared by many employees instead of buying separate equipment for each employee. However, the computers and infrastructure must be updated or replaced on a regular basis to remain useful. Computers in particular become outdated in less than a decade. This means that failing to upgrade them is worse than not having them at all. Smartphones have changed the way people work. As a tech savvy entrepreneur, you should give your employees the privilege of working remotely. If you deny them such a chance, they will have to wait until they arrive at your premises to start working on their duties. Depending on where your business is located, some of them might have to beat heavy traffic on their way to work. When you allow them to work remotely, they will definitely be more productive because they will no longer be limited by time factor. Managing customer relations is very important. Most businesses fail because they don’t have a way of interacting with their customers directly. By communicating with customers, you can get feedback on the issues that are bothering them and improve. Keep in mind that loyalty to brand comes after the needs of the customer are fully met. Social media is a very reliable channel of communication between a business and its customers. This is due to the fact that information is exchanged in real time without any delay. Unlike in the past when customers could only communicate with businesses via telephone, nowadays communication is facilitated by social media because it’s perceived to be free for all. You must therefore create profiles for your business in popular networks such as Facebook, Twitter, Instagram and Pinterest.